Turning religious fasting into a donation tool. In Romania, for about a month before Christmas, the Orthodox Christian tradition is to abstain from all or some kinds of food and drink as a religious observance. It’s called fasting and two thirds of Romanians choose to do it every year. But many of them forget that fasting is not a diet. It’s a tool for spiritual growth. And while you’re fasting as a choice, others do it because they have to. 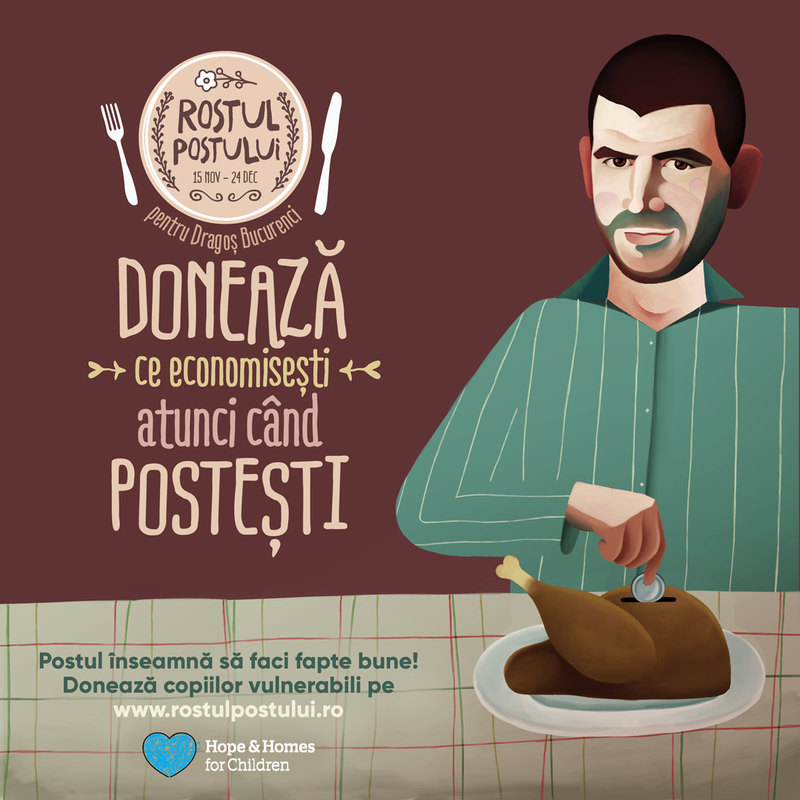 How to raise awareness and get Romanians to help those in need, during lent? We set out to make Romanians realize that, without even planning, they’re actually saving a lot of money. And fasting shouldn’t be about that at all. 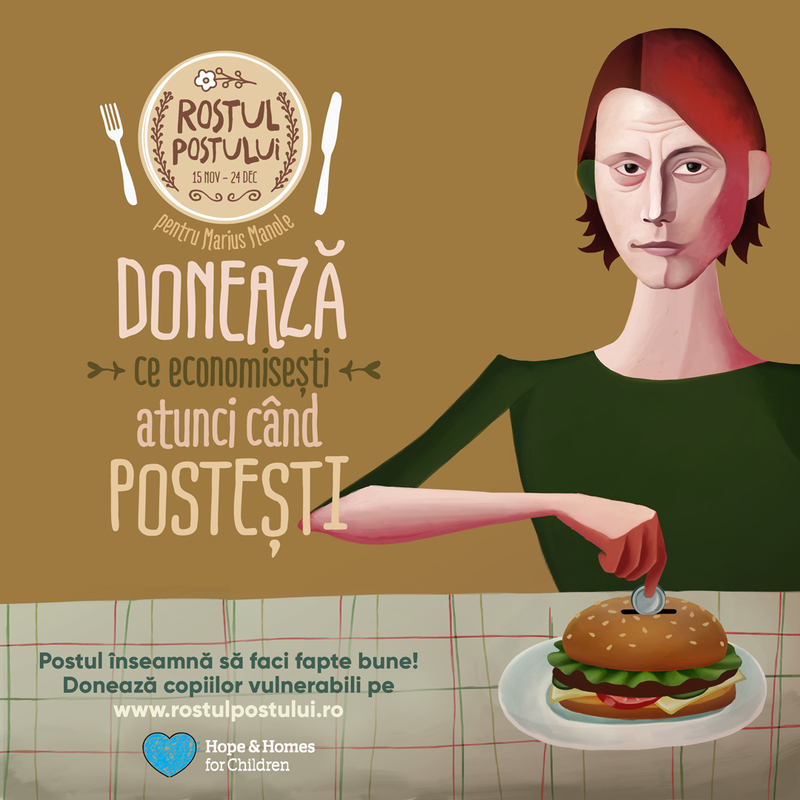 We launched a new kind of donation tool for Hopes and Homes Romania. 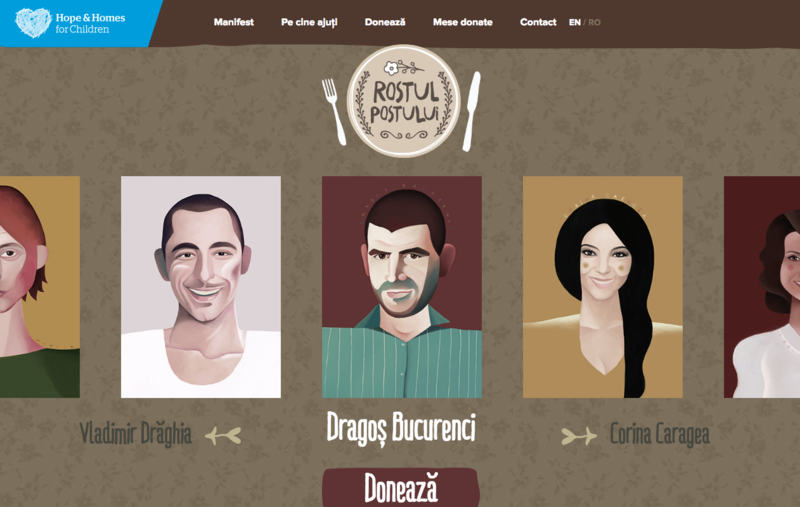 It’s a virtual restaurant called “The Meaning of Fasting”, a place where you can donate what you save when fasting to kids in need all over Romania. All you have to do is choose the dishes that you would have had if you hadn’t been fasting and donate their price to children that live on less than 1 Euro a day. 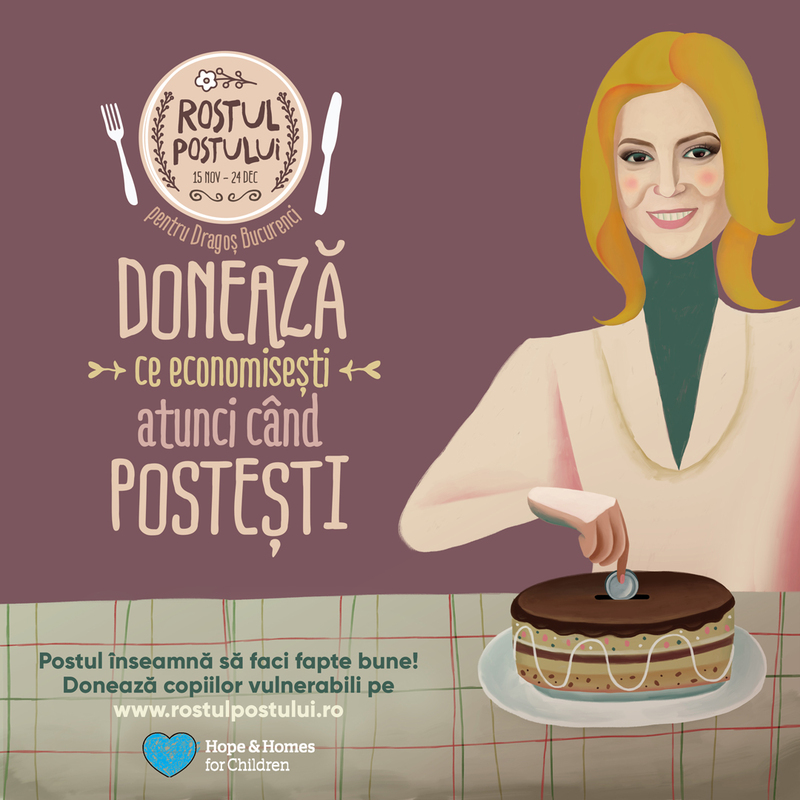 Celebrities, bloggers and journalists joined the cause and, in just a couple of weeks, with no budget at all, 32410 Lei got donated: the equivalent of 1455 main courses, 126 drinks and 645 deserts. And we’re just getting started! 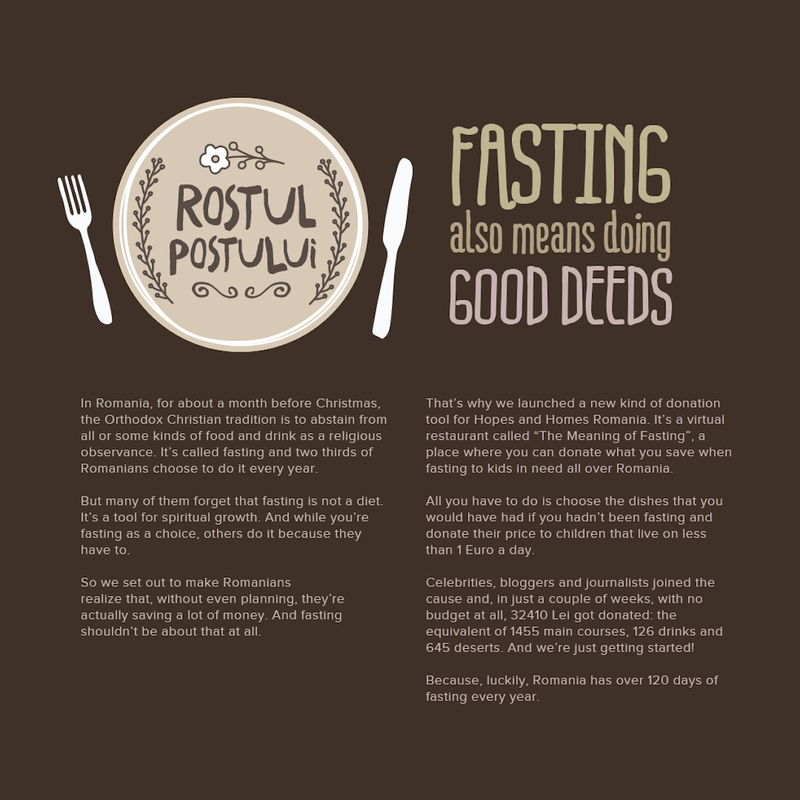 Because, luckily, Romania has over 120 days of fasting every year.